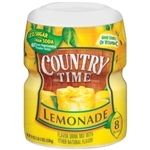 Country Time Lemonade Drink Mix Makes 8 Quarts 539g Delicious American Old fashioned Lemonade. Very refreshing! 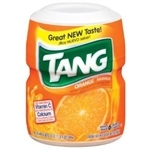 INGREDIENTS: Sugar, Citric Acid (Provides Tartness)Sodium Citrate (Controls Acidity)Calcium Phosphate (Prevents Caking)Potassium Citrate (Controls Acidity)Lemon Flavour with Other Flavours, Ascorbic Acid (Vitamin C)FD & C E102** Produced from genetically modified maize.